It is often said that the notion of free will is incompatible with causal determinism, namely, "the idea that every event is necessitated by antecedent events and conditions together with the laws of nature." But the notion of free will may also be incompatible with classical logic (more specifically, the principle of bivalence according to which, for any proposition p, either p is true or p is false), as Aristotle's discussion of the problem of future contingents suggests. Neo will choose the red pill. On the one hand, if (1) is true, then Neo will choose the red pill and there is nothing he can do about it. On the other hand, if (1) is false, then it is not the case that Neo will choose the red pill and, again, there is nothing he can do about it. Either way, Neo cannot help but choose the red pill if (1) is true, or not choose the red pill if (1) is false, which means that Neo cannot choose freely. What do you make of this argument? Does it show that the notion of free will is incompatible with classical logic (specifically, the principle of bivalence)? If so, which, if any, should we give up? [HUM 2551] Is Newton the man? The civilizations of the ancient Near East were based on a way of thinking fundamentally different from the modern scientific outlook. The difference between scientific and mythical thinking is profound. The scientific mind views physical nature as an it—inanimate, impersonal, and governed by universal law. The mythmaking mind of the Near East saw every object in nature as a thou—personified, alive, with an individual will. It saw gods or demons manipulating things. The world was enchanted, imbued with mysterious spirits. […] Live agents were the forces behind natural events. Now, Neil deGrasse Tyson thinks that Isaac Newton is the greatest physicist in history. Newton thought that Greek myths encoded alchemical recipes. Newton thought that reactions between metals occurred because of invisible forces he called "active principles." Newton thought that God, an infinite being, is present throughout all of space throughout all of time. So, is the difference between mythical thinking and scientific thinking not as clear-cut as Perry et al claim? Or perhaps we should conclude instead that Newton was not a scientist after all? [PHI 3000] What have I done to deserve this? An omniperfect God would damn a person to hell only if there is a sufficient justification for doing so. There is no sufficient justification for damning a person to hell. Therefore, an omniperfect God would not damn anyone to hell. Premise (1) is true in virtue of the divine attributes. A morally perfect God would not allow unjustified suffering. An omniscient God would know whether any suffering is justified or not. And an omnipotent God would be able to prevent unjustified suffering from occurring. Damnation is eternal, whereas a life of crime (or sin) is finite. Therefore, eternal damnation is not a fitting punishment for a finite life of crime (or sin). In other words, if the punishment should be proportional to the crime committed, then damnation is clearly not a proportional punishment for a life of crime, since the former is eternal (without beginning or end; lasting forever), whereas the latter is not. An infinite quantity cannot be proportional to a finite quantity, which means that infinite suffering in hell cannot be a fitting punishment for a finite life of sin. If this is correct, then there is no sufficient justification for damning someone to hell. In other words, no one deserves to go to hell. A similar point can be made about heaven. If heaven is supposed to be a deserved reward for a virtuous life, then no one could possibly deserve such a reward. The reward must fit the deed. Heaven is eternal bliss, whereas a virtuous life is finite. Therefore, eternal bliss is not a fitting reward for a finite life of virtue. In other words, if the reward should be proportional to the deed, then heaven is clearly not a proportional reward for a virtuous life, since the former is eternal, whereas the latter is not. An infinite quantity cannot be proportional to a finite quantity, which means that infinite bliss in heaven cannot be a fitting reward for a finite life of virtue. If this is correct, then no one deserves to go to heaven. What do you make of Arguments I and II? Are they sound? Afterlife: "a person who had been declared dead by every means known to science might return to life with detailed stories of an afterlife that were later verified. For example, she might meet Jimmy Hoffa who tells her where to find his body." Miracles: "Miracles are observed. For example, prayers are answered; an arm or a leg is regenerated through faith healing." Revelation: "any claim of a revelation obtained during a mystical trance could contain scientifically verifiable information that the subject could not possibly have known." Moral law: "Natural events might follow some moral law, rather than morally neutral mathematical laws. For example, lightning might strike only the wicked; people who behave badly might fall sick more often; nuns would always survive plane crashes." If any of these were observed, Stenger argues, they would count as empirical evidence in favor of the God hypothesis. Do you agree with Stenger that the belief in the existence of an all-powerful, all-knowing, all-good creator of the universe should be treated as a hypothesis that can be tested empirically? If so, what else, if observed, would count as empirical evidence for the God hypothesis? If, after several tests, no empirical evidence is forthcoming, what should we conclude: that the God hypothesis is probably false or that the existence of God cannot be tested empirically? the "distance" of rumors from an original eyewitness account does not constitute a general reason for skepticism about their veracity. On the contrary, such distance may make belief in rumors more warranted (p. 96). 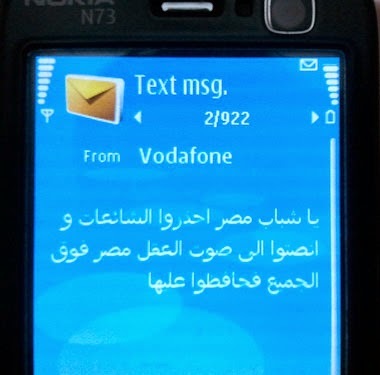 Now, imagine that you are a young Egyptian in January 2011. You hear rumors about a massive demonstration that is about to take place. How Facebook Changed the World – the story of the Arab Spring. episode 1 from Sam Farmar on Vimeo. Youth of Egypt, beware rumors and listen to the sound of reason - Egypt is above all so preserve it. From an epistemic point of view, what should you believe? The Western conception of God is that of an all-powerful (omnipotent), all-knowing (omniscient), and morally perfect creator. Love is often said to be an essential part of this conception of God. If God wants us to love him and each other, which is consistent with the Western conception of God as a morally perfect being, it is rather puzzling that there are people who are incapable of loving others. Why would God command us to love him and each other and then make some people (e.g., narcissists, psychopaths, etc.) incapable of obeying these commands? [PHI 3630] Are all opinions equal? In "The science of protecting people's feelings: why we pretend all opinions are equal," Chris Mooney discusses a study which shows that participants "weight each other's opinion equally regardless of differences in their reliability, even when this strategy was at odds with explicit feedback or monetary incentives." We tend to think that everyone deserves an equal say in a debate. This seemingly innocuous assumption can be damaging when we make decisions together as part of a group. To make optimal decisions, group members should weight their differing opinions according to how competent they are relative to one another; whenever they differ in competence, an equal weighting is suboptimal. Here, we asked how people deal with individual differences in competence in the context of a collective perceptual decision-making task. We developed a metric for estimating how participants weight their partner’s opinion relative to their own and compared this weighting to an optimal benchmark. Replicated across three countries (Denmark, Iran, and China), we show that participants assigned nearly equal weights to each other’s opinions regardless of true differences in their competence—even when informed by explicit feedback about their competence gap or under monetary incentives to maximize collective accuracy. This equality bias, whereby people behave as if they are as good or as bad as their partner, is particularly costly for a group when a competence gap separates its members. Mooney goes further than what the authors of the study say and claims that the study "underscores this conclusion — that we need to recognize experts more, respect them, and listen to them." Do the results of the study actually support this conclusion? If so, how? If not, why not? Knowledge is a kind of achievement. Therefore, knowledge is finally valuable. This argument is valid. If it is sound, then knowledge has intrinsic value (i.e., valuable for its own sake), not merely instrumental value (i.e., valuable as a means to an end). Is this argument sound? Greco considers mostly objections against premise (2). But what about premise (1)? Is it the case that achievements have intrinsic value? Or are they valuable as means to an end? Consider the view known as psychological or motivational hedonism. According to this view, we humans are motivated by pleasure or displeasure. If something like motivational hedonism is correct, would it follow that achievements are valuable only insofar as they give us pleasure or satisfaction? If so, does that mean that achievements are not valuable for their own sake after all? [PHI 2200] Was Kant a hypocrite? Immanuel Kant is one of the dominant figures in the history of philosophy, particularly moral philosophy. Kant's ethics, also known as deontological ethics, is one of the three main theoretical approaches to normative ethics to this day (deontology, consequentialism, and virtue theory). At the core of Kant’s moral philosophy is the notion of human dignity. As the second formula of the Categorical Imperative (AKA, the Humanity Formula) states: "Act in such a way that you always treat humanity, whether in your own person or in the person of any other, never simply as a means, but always at the same time as an end." Human beings must be treated as ends, not as means to an end, because they are rational agents. The source of our dignity and worth, according to Kant, is the fact that we are free rational agents who are the legislators of our own moral laws. Unfortunately, it appears that Kant himself was a racist. [PHI 2200] Do we have an obligation to resist oppression? Because we have an obligation to prevent harms to our rational nature, and because oppression can harm our capacity to act rationally, we have an obligation to resist our own oppression. Despite what Kant himself might've thought, we know that women's rational capacities are no different from men's. Thus we can use Kantianism to explain why women are just as deserving of respect as men and why this respect is incompatible with sexist oppression. We have an obligation to resist attempts to hinder our capacity to act rationally. Sexual harassment (sexist oppression) is an attempt to hinder women's capacity to act rationally. Therefore, women have an obligation to resist sexist oppression. Do you think that Hay's argument can be extended to other forms of oppression as well? For example, could one argue from Hay's premises that the poor have an obligation to resist economic oppression? Mastering the art of Critical Thinking allows one to fend off verbal attacks on one's mind just as mastering a martial art allows one to fend off physical attacks on one's body. Critical Thinking involves: analyzing claims, assessing evidence for claims, figuring out how evidence supports claims, questioning what doesn't make sense, and deciding what is worthy of belief. This blog is about using critical thinking skills both inside and outside the classroom. Its goal is to help my students become critical thinkers. [PHI 3000] Does the method of cases rest on a mistake? [PHI 2200] Can excessive wealth and inequality be justified? Dissertations: monographs or three articles? Any Grad students doing ethics of war and peace?